Learning and Red River College have always gone hand in hand. The difference in today’s environment is that students and machines are often learning at the same time. Case in point: Red River College will launch two new courses this fall that both involve artificial intelligence — Python Essentials (Oct. 16 to Dec. 18, 2018) and Machine Learning with Python (Jan. 8 to March 19, 2019). 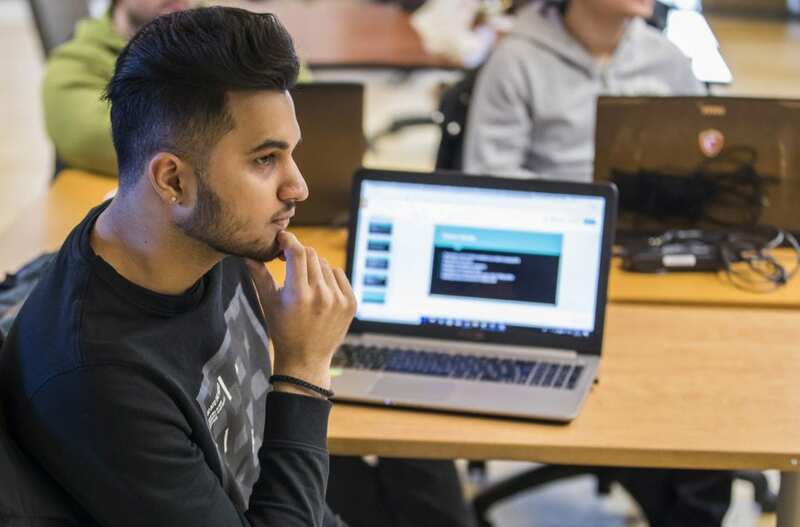 According to Haider Al-Saidi, chair of RRC’s Applied Computer Education (ACE) department, the additions are in response to massive industry demand and a wide range of business applications. The new Python Essentials course will run as a prerequisite for Machine Learning with Python, with both courses running 40 hours in duration. In Python Essentials, students will learn the fundamentals of the Python scripting language, with both individual and group projects designed to provide the building blocks they need to build their skills within the system and to understand its real-world applications. After completing Python Essentials, students can move on to Machine Learning with Python in the new year, where they will learn the primary concepts of machine learning using Python as their programming tool. Here they will become familiar with manipulating and reshaping datasets so they can be effectively used by computers in predicting outcomes. Although we may not always realize it, Al-Saidi says these kinds of real-time calculations are happening all around us each and every day. And the applications will only grow from here.